You are here: Home / Articles / What is the Best Way to Train my Dog? What is the Best Way to Train my Dog? There are many different opinions on the most effective dog training techniques but all of them come back to rewarding ideal behaviors and making sure behaviors that are not ideal are not rewarded. Therefore, you need to be consistent in your training efforts because dogs learn through immediate reward or consequence. The two most prevalent teaching efforts are; (1) teaching your dog what you want them to do and (2) discouraging your dog what you do not want them to do. 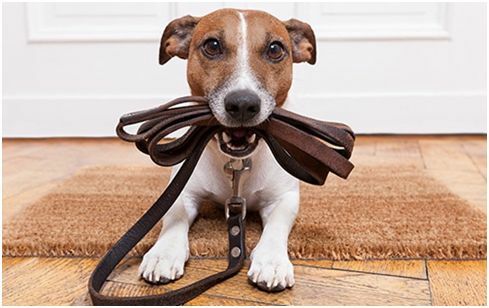 While both can impact behavior, teaching your dog positive behavior through positive reinforcement is usually much more effective and can also be enjoyable for yourself and your companion. Rewards such as food, games, and praise will help them learn but also grow your relationship with your pet. In contrast, punishments are likely to produce fear which is not a positive environment for the animal or owner. While you need to maintain the rewarding of positive behavior the discouraging of negative behavior needs to occur but this does not need to come as punishment! Simply, your dog needs to understand that unwanted behavior will not receive reward. For example, if a dog jumps on you and you pet them, you are rewarding the jumping behavior. But, if a dog jumps on you and you ignore them, they will learn not to continue the behavior. In any training, make sure to stay consistent and keep consequences immediate for your companion to elicit any learned response.